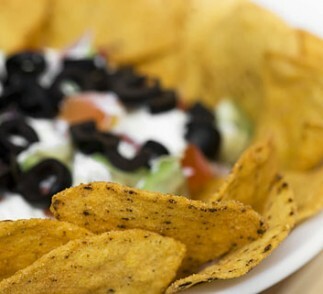 Instead of using sour cream that hikes up the fat and calorie content, this 7-layer dip uses VOSKOS® Greek Yogurt that has 0 grams of fat and only 90 calories per serving. Great for parties and potlucks, not only is it incredibly easy to make but also looks impressive and tastes delicious. Layer the black refried beans in a casserole dish with a spatula. 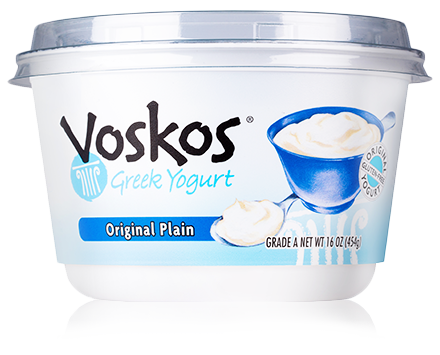 Spread a layer of VOSKOS® Plain Greek Yogurt over the beans and top with sliced cucumbers, chopped tomatoes, sliced olives, chopped jalapeños and feta cheese.